New Delhi, January 12: Busting the IS-inspired terror module following massive raids at various places in Delhi and Uttar Pradesh, the National Investigation Agency arrested the terror suspects by putting them under jail custody. In a latest development, the Delhi's Patiala House Court on Saturday sent two accused, Suhail and Saqib arrested on December 26, to judicial custody till February 6. The accused Suhail and Saqib are two of the total ten people who were arrested on December 26, 2018, for being members of 'Harkat-ul- Harb-e-Islam' and for planning terror attacks across the country. The eight other suspects are currently in judicial custody. The apex anti-terror probe agency said that the members of the alleged terror module wanted to carry out fidayeen attacks in near future and had set eyes on VVIPs. The NIA had said in a press conference that the terror group was building a network which had the objectives of radicalising people and carrying out a series of attacks across Delhi and Uttar Pradesh. 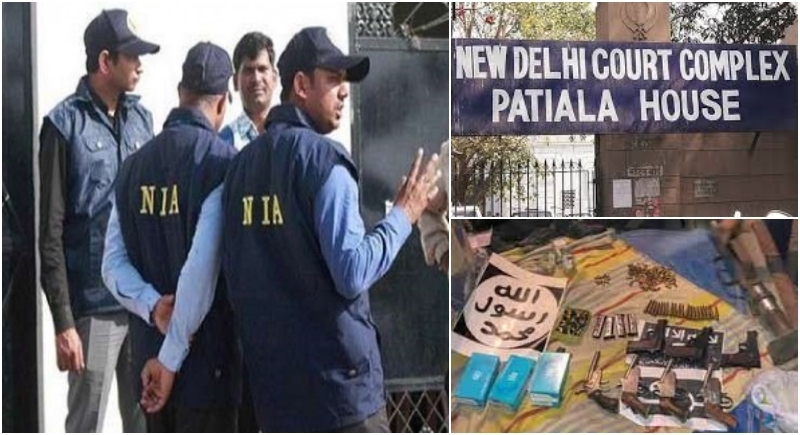 'We conducted searches at 17 locations in Uttar Pradesh and Delhi in connection with a new ISIS module styled as 'Harkat-ul-Harb-e-Islam' which was in an advanced stage of carrying out a series of blasts,'' NIA IG Alok Mittal had said. "Their targets were political persons and other important personalities and vital and security installations." Alleged mastermind Mufti Mohammad Suhail Hazrath, 29, is a native of Amroha and was working as 'Mufti' (a Muslim legal expert empowered to give rulings on religious matters) in a Madrasa at Hakim Mahtab Uddin Hashmi Road, Amroha, UP. He was staying at Jaffrabad, Delhi, and had tasked other team members to procure arms, explosives and other accessories to prepare IED’s and pipe-bombs. Saqib Iftekar (26), from Uttar Pradesh's Hapur, was working as Imam in Jama Masjid, Baksar, Uttar Pradesh. He helped the master-mind Suhail in procuring weapons.